Mods are an awesome way to add to the ever growing world of Minecraft. 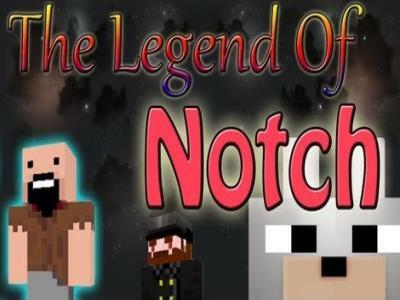 The Legend of Notch Mod for Minecraft is an incredible mod which adds it’s own storyline based around the original creator of the game known as Notch. You must save him from evil! This new mod has it’s own story with 3-6 hours of gameplay with is pretty decent, especially for something that’s free! You must save Notch and destroy the Herobrine. Along with this new story, you have a new massive world to discover which is already created for you! Fine new towns, villages and meet new NPC’s. You can choose between four classes in this mod such as Warrior, Assassin, Mage, and Berserk. Each class has their own unique spells and abilities including a new set of 24 spells which cause massive destruction and AoE. There is also a completely redesigned battle system with over 80 new monsters and creatures! Customize your characters with new skills as they level up, fight bosses, etc. You can enter shops, buy new weapons and believe me, there are tons of new items and weapons that you do not get with the base game such as a great sword or war hammer. I am excited to continue exploring this mod and above all else, rescue Notch!